Here’s one guest who would be a total “hoot” to have at your next party. 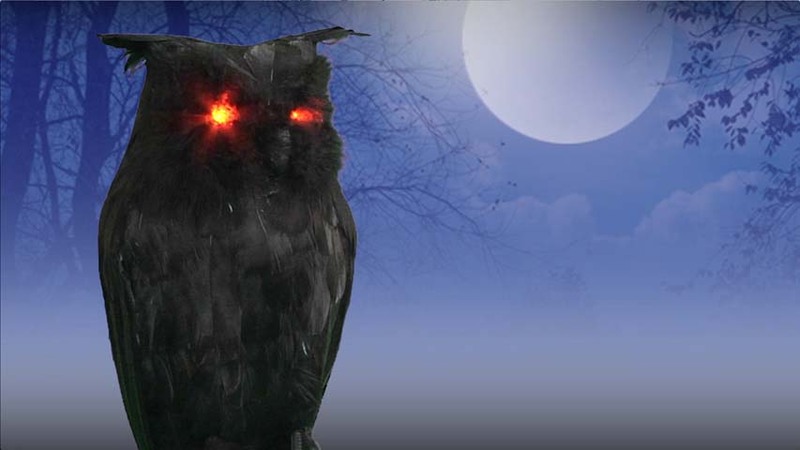 Perch this Light Up Black Owl on a table in your entryway and watch your guests’ recoil in terror as its eyes glow like red embers, sending a fright right to the center of their soul. Even better, it emits scary sounds that will set all of your visitors on edge. Often times, Halloween tales set the scene with a hooting in the distance. The haunting call of a lone owl echoes across an expanse of barren woods and chills those within earshot to the bone. That’s why every spooky party needs this raven-hued owl. It’s real black feathers make it look “bad to the bone,” and not to be reckoned with. So what are you waiting for? This bad boy doesn’t need a formal invitation, or even a call. 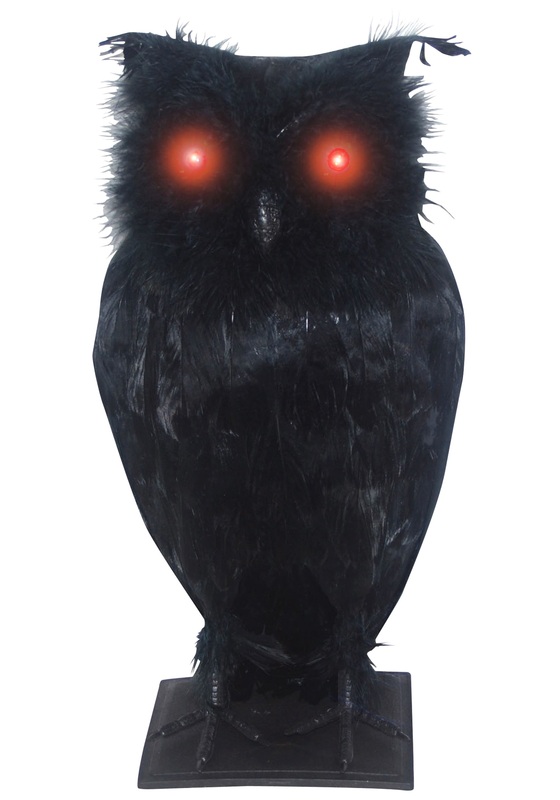 Claim this Light Up Black Owl as a guest or official greeter—he’d love to perch in your foyer, ready to hoot, holler, and screech for all of your watchful visitors. He'll be the wildlife of your party!